MARQUETTE — Fans can use the convenience of the internet, save money and help a fund associated with the Superior Health Foundation all at the same time with purchases of tickets for the upcoming exhibition of the Harlem Globetrotters in Marquette. Their appearance takes place at 7 p.m. on Friday, April 19, at the Northern Michigan University’s Berry Events Center in Marquette. The foundation’s Breast Health Fund will receive a portion of online ticket sales while families can save money by entering the promotional code SUPERIORHEALTH after selecting seats. The website to visit to do this is at https://nmu.universitytickets. com/w/event.aspx. The SHF’s Breast Health Fund provides philanthropic funding to help Upper Peninsula men and women with out-of-pocket expenses related to breast health. 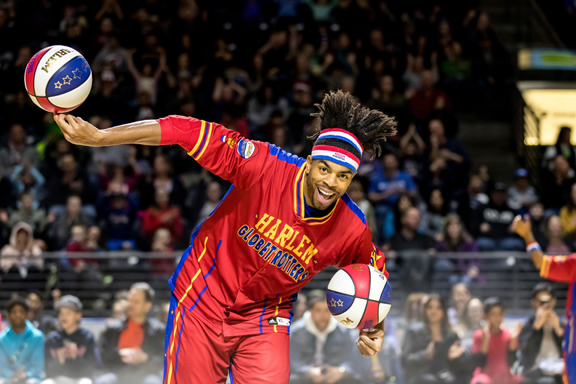 “We’re tremendously grateful that the Harlem Globetrotters, one of the most entertaining acts in all of sports, would reach out to the Superior Health Foundation and help with a portion of the online ticket sales,” said Jim LaJoie, executive director of the Superior Health Foundation. “The Globetrotters truly embraced the idea of supporting the Breast Health Fund.